The annual meeting of the American Epilepsy Society took place in early December, where the largest study presented there confirmed the astounding benefits of medical cannabis to treat seizures. Epilepsy affects one in 26 Americans during their lifetime, “with one-third having a form of the condition that resists treatment or effective management.” Children and young adults are particularly affected by this debilitating condition. The findings of this study add to the growing body of evidence that cannabidiol (CBD), a non-psychoactive extract of cannabis, can provide the best option for treatment-resistant epilepsy. Of 261 patients given CBD treatment, 45% experienced a significant reduction in seizure frequency, and 9% were seizure-free at 3 months. Some children continued to experience benefits after the trial ended, even one year after. “In the subsequent periods, which are very encouraging, 9 percent of all patients and 13 percent of those with Dravet Syndrome epilepsy were seizure-free. Many have never been seizure-free before,” said lead author Dr. Orrin Devinsky. 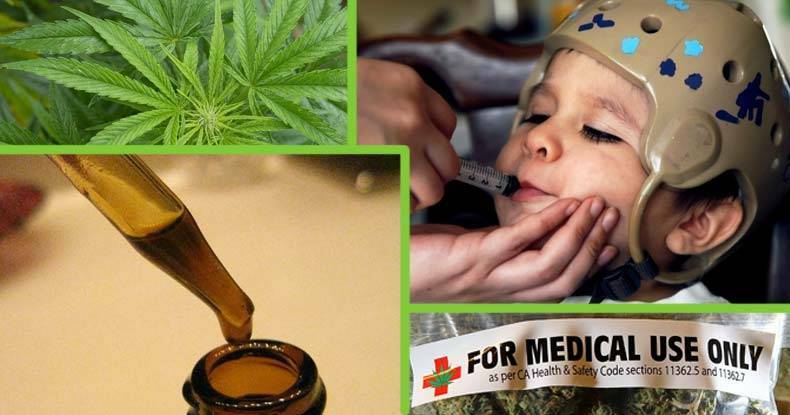 The Free Thought Project has covered many stories of CBD providing miraculous benefits to children suffering from treatment-resistant epileptic seizures. With scientific evidence piling up, it is no longer deniable that cannabis provides a host of medical treatments. As such, the federal classification of cannabis as a Schedule 1 drug—with no medical benefits—is completely absurd and is a moral affront to millions of people searching for alternatives to Big Pharma products. Research began in the mid-20th century on medical cannabis was quashed with the government’s War on Drugs, but is being rekindled as states continue to legalize medicinal and recreational use. However, clinical trials take a long time, and they are just beginning. The call for ending all government roadblocks to medical cannabis research is growing louder and more furious, from doctors and patients alike. Researchers want to explore all options in the quest to cure human ailments.